This collections of notes (what some may rashly call a 'book') serves as the ultimate place of mine to collect all the nuts and bolts of using Apache Spark. The notes aim to help me designing and developing better products with Apache Spark. In this book, professor Matt North uses simple examples, clear explanations and free, powerful, easy-to-use software to teach you the basics of data mining; techniques that can help you answer some of your toughest business questions. The book describes a storage architecture that some experts are calling a game changer in the infrastructure industry. Called the Microsoft hybrid cloud storage, it is a way to integrate cloud storage services with traditional enterprise storage. This is a free little book about Riak, a scalable, high availability NoSQL datastore. Riak is an open-source, distributed key/value database for high availability and near-linear scalability. Riak has remarkably high uptime and grows with you. MySQL is a leading open source database management system. This is MySQL tutorial. It covers the MySQL database, various mysql command line tools and the SQL language covered by the database engine. It is an introductory tutorial for the beginners. Graph Databases, published by O'Reilly Media, discusses the problems that are well aligned with graph databases, with examples drawn from practical, real-world use cases. This book also looks at the ecosystem of complementary technologies. The Data Wrangling Handbook is a companion text to the School of Data. Its function is something like a traditional textbook -- it will provide the detail and background theory to support the School of Data courses and challenges. Redis represents a simplification in the way we deal with data. It peels away much of the complexity and abstraction available in other systems. The goal of this book is to build the foundation you'll need to master Redis. Big Data represents a new era in data exploration and utilization, and IBM helps clients navigate this transformation. The book reveals how to use Big Data technology to deliver a robust, secure, highly available, enterprise-class Big Data platform. If you are looking for a solution to accommodate a virtually endless amount of data, this book will show you how Apache HBase can fulfill your needs. HBase scales to billions of rows and columns, while ensuring that performance remain constant. MongoDB is a document-oriented database -- it should be viewed as an alternative to relational databases. This book covers a number of topics with a focus on the fundamentals you will need to get comfortably up and running. Apache Pig is a platform for analyzing large data sets that consists of a high-level language for expressing data analysis programs. The structure of Pig programs is amenable to parallelization, which enables them to handle very large data sets. CouchDB's creators show you how to use this document-oriented database as a standalone application framework or with high-volume, distributed applications. 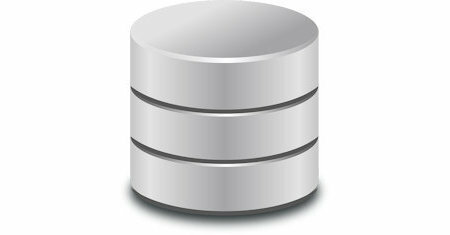 CouchDB is ideal for web applications that handle huge amounts of loosely structured data. This ebook provides a step by step path to proficiency with MySQL. Beginning with the relational database basics and the installation of MySQL, the book covers everything needed to successfully build, maintain and secure MySQL based databases.